Discover how the power of the Verafin cloud can help combat criminal activity that spans across multiple financial institutions. Cross-institutional analysis provides a more complete picture of customer activity — beyond your four walls. It can detect unseen risks — including criminals who repeat their illicit activity across multiple institutions — and alert you to take quick action. By analyzing millions of transactions in the Verafin cloud, our analytics also can identify legitimate customer behavior, reducing false positives and allowing you to focus your time and resources on what’s truly suspicious. 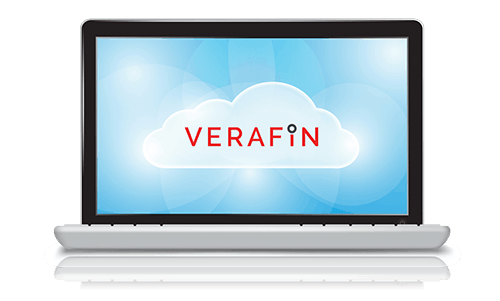 Get alerted to customers that are performing potentially suspicious activity at other institutions in the Verafin Cloud, and use Verafin’s 314(b) information sharing functionality to collaborate with those FIs. Get alerted when a customer has potentially suspicious AML alerts at other institutions, allowing you to see unusual activity that might be hiding below your threshold. Using the power of the Verafin Cloud, Verafin utilizes data from over 1600 financial institutions to alert you when a deposited check is drawn on a closed account. When a customer initiates a wire or ACH file transfer, Verafin analyzes the recipient account amongst institutions in the Verafin Cloud to help you establish confidence in the legitimacy of the transfer. Verafin includes 314(b) information sharing functionality that gives 314(b)-registered institutions the ability to request and share information that can be incredibly valuable when investigating potentially suspicious activity across multiple institutions. Criminals are fast moving. As a cloud provider, Verafin releases software enhancements on a weekly basis, meaning you are always protected by the latest analytical advancements. An isolated view of your customers’ activity means you cannot see the risk a customer may pose if they are performing suspicious activity at other institutions. Interested in learning more about Verafin's Cross-Institutional Analysis Solution?